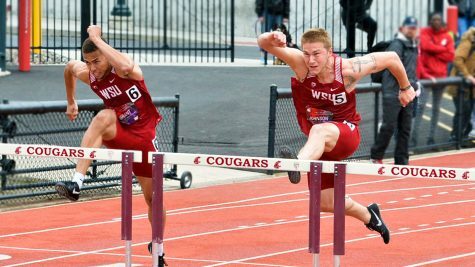 One team, split between three locations, yet the WSU track and field athletes still found success across the board despite the separation. 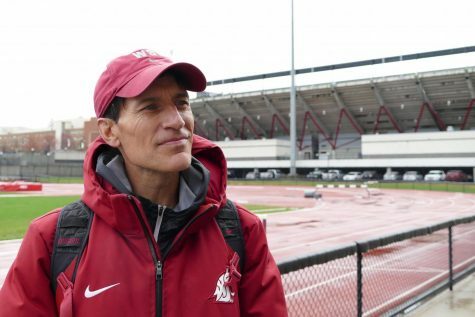 The single competitor from WSU to make his way to Boise, Idaho, won the race he came to contend for. 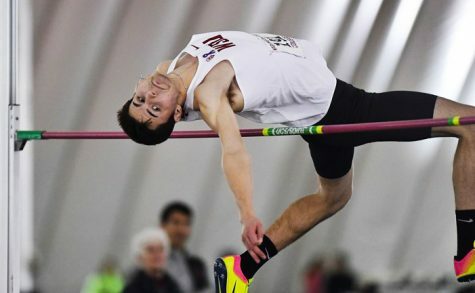 In the Ed Jacoby Invitational, junior Dino Dodig took first for the heptathlon competition. 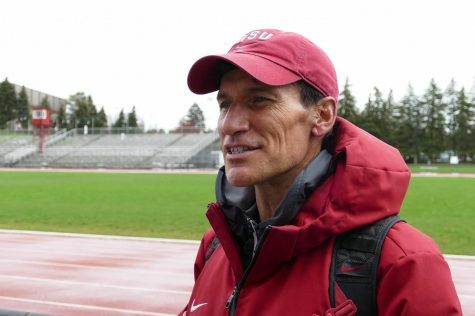 A native of Serbia, Dodig won the heptathlon, beating out three competitors from Northwest Nazarene University, two athletes from Boise State University and one competitor from Alaska Anchorage University. Dodig won the shot put with a 12.67 meter throw, the 60 meter hurdles in a time of about nine seconds and the 1000 meters race in 2 minutes and 46 seconds. He also was runner-up for two out of the four events left: pole vault (4.35m) and long jump (6.79m). The last two events, the 60 meter race and high jump, Dodig took third. At the University of Washington Indoor Preview in Seattle, two Cougar women stood out in the high jump field event. 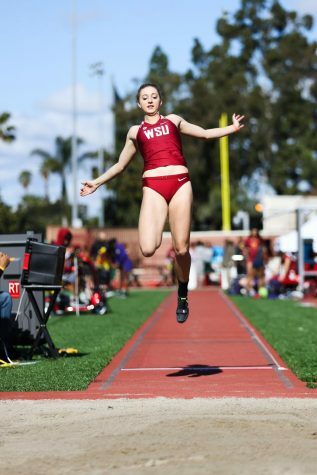 “Our high jumpers, particularly Liz Harper and Kiana Davis, had great days,” WSU director and head coach of cross-country/track & field Wayne Phipps said. Liz Harper, a 5’11” junior, won the high jump with a height of 5 feet, 8 3/4 inches. Her teammate, junior Kiana Davis, cleared her 5’7” stature when she also executed the winning height and became runner-up in that event. Davis would later PR in this meet for triple jump with a leap of 12.00 meters. 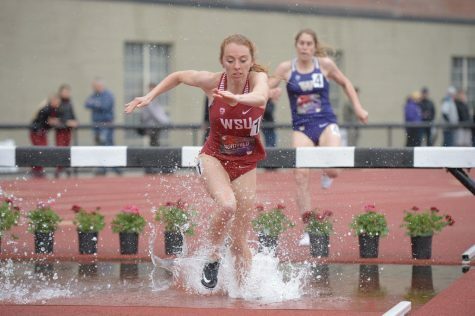 Some of those great performances were seen back in Idaho at the invitational in Moscow with two more triumphs for the WSU team. 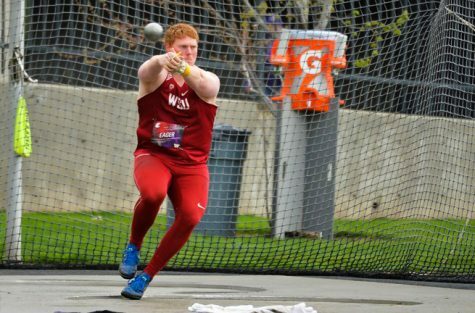 Sophomore Brock Eager, who threw 56 feet and 7 inches last year, made a personal-best mark and won the men’s 35-pound weight throw with a distance of 58 feet and 4-3/4 inches at the Idaho Invitational. Another athlete to join the small crowd of Cougars to compete at this location was junior McKenna Hogan who won the women’s long jump, reaching 17-3 1/4 inches. Back in Seattle, three runners on the men’s side took top marks. For the 200 meter dash, junior Terrance Chambers finished fourth in roughly 22 seconds. 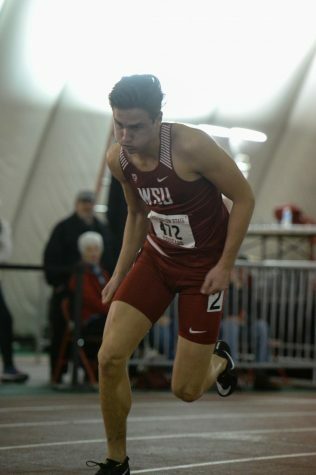 Later in the day, freshman Reid Muller stepped up to place fifth in the 800 meter run in a time of one minute, 54 seconds. Junior CJ Allen made a difference in two events, the 600 meter run and the 60 meter hurdles. Allen came in third for the run in a time of one minute and 18 seconds and made a personal best of 8.16 seconds in his fourth place finish for the hurdles. The next meet will be home for the WSU track and field team, taking place in their Indoor Facility Friday and Saturday, Jan. 22 – 23.